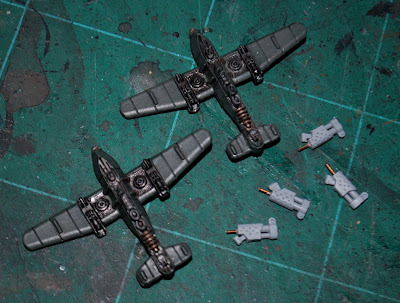 Here is a quick scrappy look at the work in progress with the Prussian bombers from the box set. 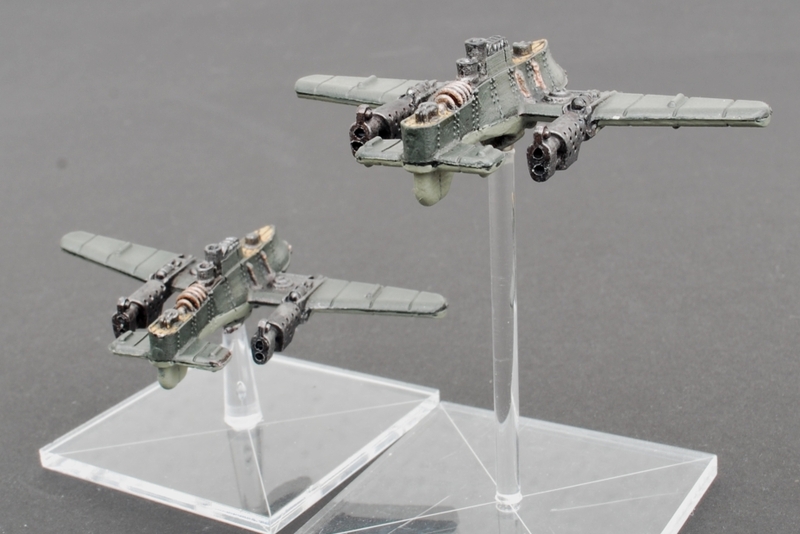 The propellers provided were very quickly discarded when I got these models. They can be rather wonky and delicate, I also wasn't keen on them aesthetically. 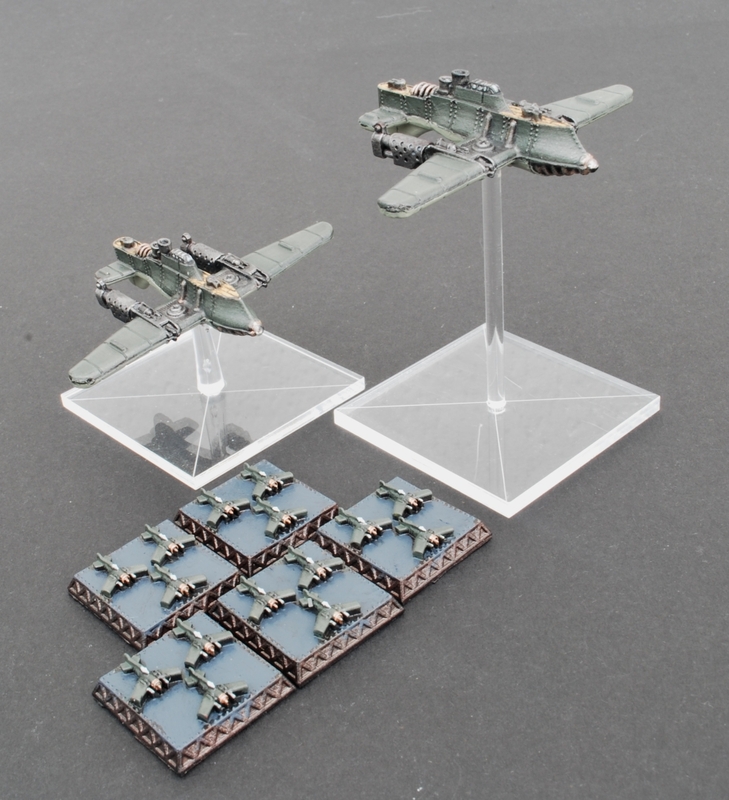 They work well for many of the Dystopian models, but just not these. Perhaps if they had been iron cross propellers it would have been genius, but that's another idea. Meanwhile, to finish the models here and now I grabbed some 40k imperial guard flamer arms and created what might be described as an exhaust/vent/steam/jet engine piece (logic need not apply here, the model seems to remain airborne best not to argue how it actual does). The ever present smidgen of green stuff provides a robust and solid fit. 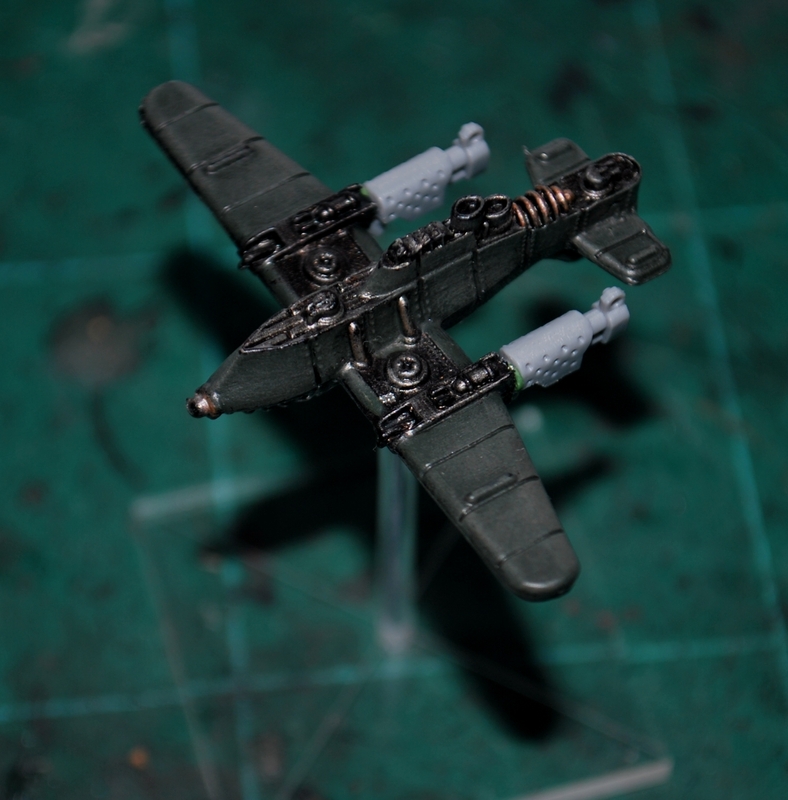 The air support 80% painted, shading and markings to come. It is a more industrial look, and I like it. Will have to save flamers for any bombers added to my command. Trolls ... boils and pustules included!